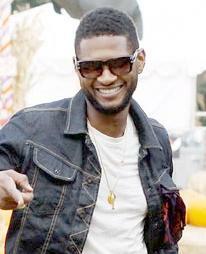 Usher Decides to Donate Gadhafi Money to Human Rights Orgs. *Apparently Usher’s conscious, as well as media pressure, has moved him to donate the money he earned from a concert appearance linked to the Gadhafi family to various human rights organizations, including Amnesty International. The news of Usher’s donation comes on the heels of his peers Beyonce, Mariah Carey and Nelly Furtado opting to give their earnings to charity or stating they have already done so. Usher is the only artists that didn’t actually perform but he was paid an appearance fee to attend the private concert featuring Beyonce in 2009 for Gadhafi, whose country, Libya, is openly revolting against him and who faces an investigation for possible war crimes. Don’t feel too bad Usher. At least your indiscretion would not contribute directly to propping up this dictator, unlike that of one Barack Obama. In the months before Libyans revolted and President Barack Obama told leader Moammar Gadhafi to go, the U.S. government was moving to do business with his regime on an increasing scale by quietly approving a $77 million dollar deal to deliver at least 50 refurbished armored troop carriers to the dictator’s military. Congress balked, concerned the deal would improve Libyan army mobility and questioning the Obama administration’s support for the agreement, which would have benefited British defense company BAE. The congressional concerns effectively stalled the deal until the turmoil in the country scuttled the sale. Earlier last week, after all military exports to the Gadhafi regime were suspended, the State Department’s Directorate of Defense Trade Controls informed Capitol Hill that the deal had been returned without action. Obama – pro-wall street, pro-pentagon, pro-dictator and doesn’t have a transformative bone in his body regarding either race or class. boy what a way to get a tax right off! Remember deductions are written off your taxes. He does say proceeds.. Oh well the hipocrasy. Frankly I don’t think they should give the money back at all. They performed a service, they should get PAID. How politically correct to shame these people into this.. What a waste of time and energy! You are so right. Why should they have to give the money back, when the service they provided were harmless and did not contribute to the subjugation of the Libyan people. How about the US government give back to the Libyan people all the money they took from Ghadafi, in exchange for arms and military machinery, used in the direct subjugation of the Libyan people. War monger/criminal Obama, I’m calling you out. It’s all coming to pass, God told us Israel would be a nation again and Israel would be sharing land. 1st Kings 16:21. Then were the people of Israel divided into two parts; half of the people followed Tibni the son of Ginath, to make him king; and half followed Omri. * Reading along, Omri buys the hill Samaria and builds in the house of Baal ( the Jews place of worship). Be honest, what nation of people is scattered thoughout the whole world. Israel of Jewish faith. i appreciate ur interest n scripture but i implore, delve deeper. these modern day jews r not the house of israel. and 2 answer ur ? what nation is scattered throughout the world…it’s ur people brotha. phillipines, china, india, brazil, s. africa, nigeria i could go on and on and yes the u.s.a. black people of african descent…the lost tribes of israel. go back and read gen 15:13 and u ask urself who besides us fits that description. also read deuteronomy 28:68 and again what other people fit this description. european jews were never on any ships nor were they ever sold. this is not referencing the egyptian captivity bcuz 1 u do not need a ship 2 travel from israel 2 egypt u can walk as moses led the children of israel out of egypt n2 israel by foot and 2, n the first egyptian captivity joseph was equal 2 pharoah. egypt is symbolic of captivity so when the bible writes “i will take you n2 egypt again it is referencing a spiritual egypt (land of captivity) not the actual physical egypt. ok beyonce now him. don’t act like u didn’t know who ghadafi was when u first accepted the $$$. now that he’s become politically incorrect u want 2 return it. gtfoh! frauds!